Bangkok to me is just another big city. My real love is around an hour and a half from Bangkok: the beautiful beachside city of Pattaya (Chon Buri). 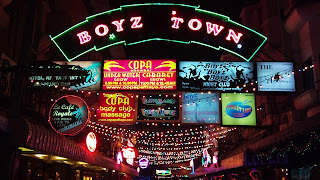 For the LGBT traveller, Pattaya (and neighbouring Jomtien) is heavenly. From Boyztown (an area specifically designed by Jim Lumsden and his business partner Gordon May) to the bars, nightclubs and beaches, this area has something for everyone. The accommodation on offer encompasses all star ratings and often includes breakfast. My personal recommendation would be The Ambiance or the newly built Baan Souy Resort. The two properties are very different. Both properties feature in the July issue of Q Magazine and you can read more about them on my website at www.qmagazine.com.au. For total relaxation, Sansuk is a beautiful sauna in the area and is within walking distance of Baan Souy Resort. It has amazing facilities including a bar, restaurant, pool and in October this year will complete a whole new accommodation wing with elevator access to all floors and to the older section. It is open from 2 p.m. daily and is a favourite spot for socialising in a safe and friendly environment. It is advisable to consult as many websites as possible prior to visiting Thailand. There are specific protocols that will make the exercise a lot less surprising. You can choose to indulge in the wilder side of life or simply laze on the beach, buy a foot or full body massage, and enjoy light refreshments and food with the panoramic vista of water, boats and the buildings of the area. I have often said that Buddha would be so proud of Thailand and its people, and I don’t say that flippantly. The people really do make this country special. They are generous, centred, happy, accommodating, welcoming and attractive to boot. Their demeanor is one of mai pen rai (in layman's terms: "no worries"). Nothing is a hassle, service is paramount and if you’re on a budget you can’t go wrong. This is obviously assisted by the very healthy exchange rate with most other currencies and a flamboyant barter system. 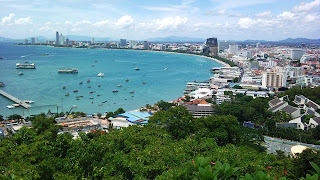 I have travelled all over the world but no place relaxes me like Thailand – and in particular Pattaya. If you have any specific questions I would be more than happy to receive them via my personal email: brett@hayhoe.com.au. Brett Hayhoe is the publisher & editor of Australia's Q Magazine. Great information! This is really an amazing place to visit would definitely visit here. Iceland - A Fresh Meeting Point!